Afternoon tea is quintessentially English but when it comes to producing the nation’s favourite brew there is a distinct foreign flavour. 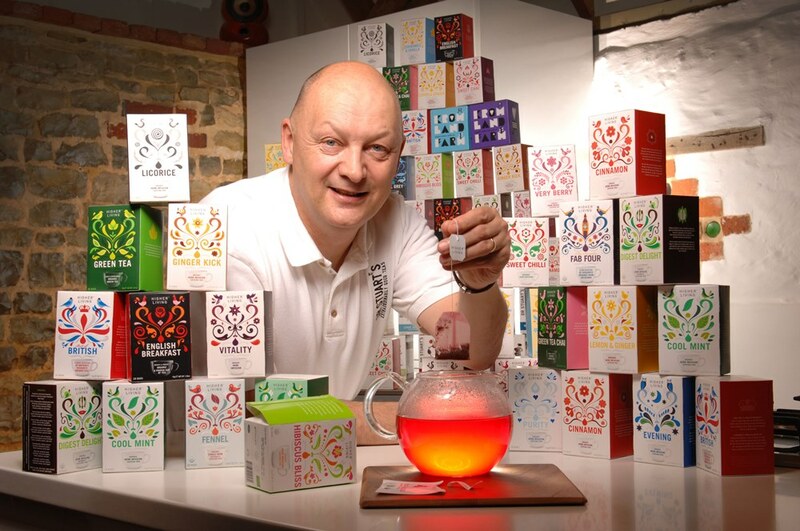 Step forward Keith Garden and Only Natural Products who are reversing the current trend for overseas production while showcasing the best of British by exporting a range of high-quality teas and infusions around the world. But when Keith launched the stand-alone company back in 2008 after a career in sales and marketing there was one missing ingredient – funding. Keith remembers the banks were not being “terribly helpful” when it came to lending money and he needed £150,000 to fund a management buyout. “I was scratching my head. There was a sum of money in the pension that was sitting there and not performing very well,” he said. Pension-led funding became an attractive option for a small company which needed major investment in machinery, design and packaging. With the help of PLF, a small self-administered scheme (SSAS) was set up, the pension purchased the company Intellectual Property and a loan was made to the company. Keith has since returned several times to his pension to fund his growing export-led business in Gloucester. While major British tea producers were focusing production in Eastern Europe, Only Natural Products were pouring their efforts into development back at home. Sales have grown steadily which has been backed up by continued investment in people and machinery. Further pension loans and Intellectual Property purchases have funded the launch of brands such as Dr Stuarts, a range of herbal infusions called Higher Living and the latest, a South African organic, single-estate rooibos tea called Kromland Farm. The investment and focus on overseas markets, such as trade stands in America and Hong Kong and at organic and food shows, has built on all the hard work. With the home market becoming a more challenging place to trade, the last four years have seen a huge swing in the split of the company’s export and home market output. Keith said: “Our production has swung around to become 65-35 per cent export led. “Tea is synonymous with the UK. We have a huge advantage over companies in France, Spain and Germany. We can deliver 20 million packs of tea around the world, have seen fantastic growth internationally, in Europe, Scandinavia as well as in America and the Far East. His latest Pension-led funding deal has helped to purchase a loose tea machine to target drinkers Down Under. “We are now the leading organic tea brand in Australia,” he said proudly. “The market for premium tea is growing around the world, by 35 per cent in Sweden and 20 per cent in USA. We firmly believe it is the way forward. The market for tea is growing, coffee is in decline. Keith started Only Natural Products back in 2008 after a career in sales and marketing. He has since launched brands such as Dr Stuarts, a range of herbal infusions called Higher Living and the latest, a South African organic, single-estate rooibos tea called Kromland Farm. He needed £150,000 to fund a management buyout but the banks were not lending. “I was scratching my head. There was a sum of money in the pension that was sitting there and not performing very well,” he said. A small self-administered scheme (SSAS) was set up, the pension purchased the company Intellectual Property and a loan was made to the company. Keith has since returned several times to his pension to fund his growing export-led business in Gloucester.